The price of bitcoin generated considerable interest due to the price of bitcoin that increased twenty times in 2017! This currency has experienced extreme volatility. For example, from $20 000 in December, the price dropped to $10 000 just in a few weeks. Also, the same scenario hit other huge digital currencies such as ripple or Ethereum, and their price is expected to continue to be unpredictable. The latest news (last 24h) shows that the value of bitcoin rose 5%, and its jump directly affected other cryptocurrencies as well. The cryptocurrencies’ price has been shifting dramatically since mid-December, as we already mentioned, plummeting and recovering in no time. These drops sometimes happen in an hour and then recover in a couple of days and remain high for some time. The drops give rise to high-profile criminal acts, and the latest known cyber raid happened on the Binance exchange, but fortunately, it turned out that the raiders got away with nothing, cause the cyber security reacted in time. The banishment of cryptocurrency ads due to the rise of deceptive content gives a serious blow to the sector in question, and this is how things quickly change on the exchange market. Major cryptocurrencies jumped 75% (bitcoin jumped 4.4%), and strongest digital coins are still traded at less than 40%. Bitcoin, Ethereum, ripple XRP, Litecoin have performed well recently and this is why people are getting more and more interested in digital money and eagerly invest in them. However, there’s a fear that the bitcoin bubble could burst any time, so the investors should be very cautious not to bankrupt or get scammed. On the other hand, the value could reach vertiginous growth towards $1m. At the end of the year, the major cryptocurrencies experienced a serious crash – bitcoin dropped 14% at one point, as well as ripple (39%) and Ethereum (12%,) and there are a few reasons for this. 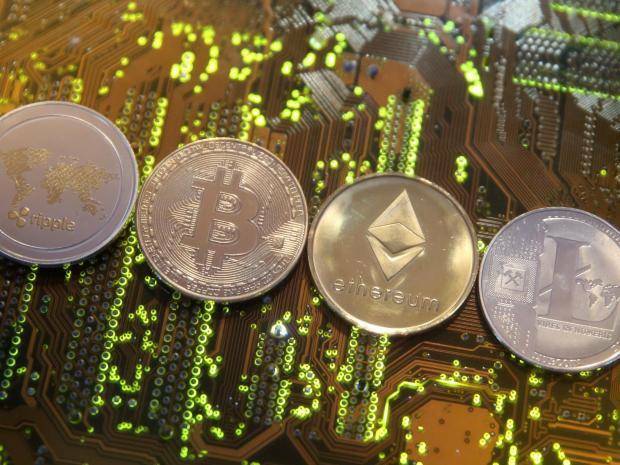 Last year’s drops in value could be blamed on South Korea’s decision to ban crypto accounts and shut down exchanges in order to get rid of the potential cyber criminals hiding behind the anonymity, that way abusing the online monetary system. South Korean authorities introduced new anti-laundering measures to control the Korean exchanges and help the stability of the crypto value. 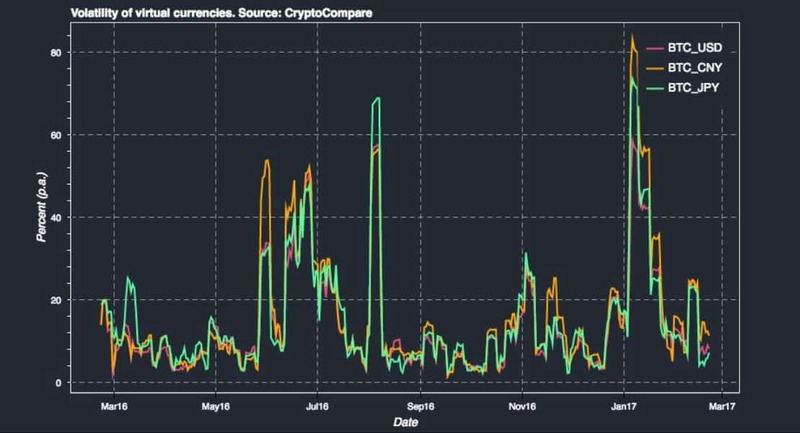 Another reason for the price volatility can be found in the price of bitcoin which occupies 35% of the crypto market, and as such it’s the most influential. It’s often seen rather as an investment than a currency due to recent futures contracts. This novelty attracts more and more investors willing to jump in. The third reason is the profit taking. Last year’s bitcoin price jumped for more than 1000%, the ripple was less than a penny and ended the year with $2, and Ethereum from $7 reached $720 at the end of the last year. This is the reason why the investors became incredibly rich overnight, but also the risk is very high due to the volatility, so the bubble may burst any second. Cryptocurrency experts claim that the price could even triple by the end of 2018 and that more and more industries are getting interested in the benefits of cryptocurrencies. Interest in bitcoin will increase interest in Ethereum, for example, and the investor will have access to quick and cheap money transactions. It might even happen that Ethereum overtakes bitcoin cause more and more money is being invested in Ethereum projects (oil and gas projects, government apps, gaming etc.) much more than the last year and the transactional costs are lower. However, bitcoin and other digital currencies are here to stay due to their amazing infrastructure applications. Coins will hit the big time and there will be a plenty of room for the new ones to come out this year. There will emerge chances of getting rich, but also of getting ripped off, and its a fact that every new technology is like that at the start. As prices fluctuate crazily, there is always room for speculation. On the other hand, adoption of online monetary systems will bring the improvement of numerous services (banks will turn to the real cost of transactions, for example). With the creation of new regulations by more countries like China, South Korea, Japan, USA, cryptocurrencies will face new crashes, but despite the new regulations general opinion is that nobody can say for sure whether the price of cryptocurrencies will rise or fall. Digital currencies and blockchain technology are the future, but those who want to profit must not invest more than they can afford – investors must be aware of the price roller coaster that never ends. In addition, Bitcoin analysts think that the price of bitcoin will reach $ 50 000 due to huge investments of distinguished companies and banks, and the long-term predictions say that the bitcoin might exceed the value of $100 000 by 2020. Other expectations show that there is also a great chance that the bitcoin drops to $5 000 and then soon recover (we have already witnessed the similar situations in the past). In comparison to cryptocurrencies, Forex deals with much lower volatility (1% for the most extreme couples) being regulated by specific banks’ rules. Some of the factors that affect Forex are interest rates, political stability, economic health, public debts etc and they all cause the currency inflation. 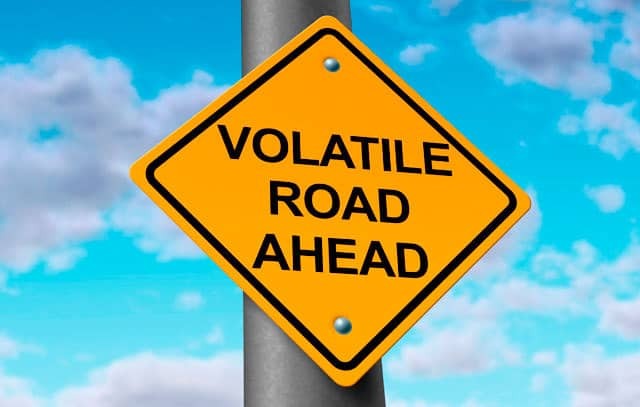 Trading with cryptocurrencies is much riskier, and their volatility is in much sharper contrast than the foreign currencies. It’s important to know that the coins don’t always go up and it’s crucial not to panic cause crypto trading is not for the weak hearts.